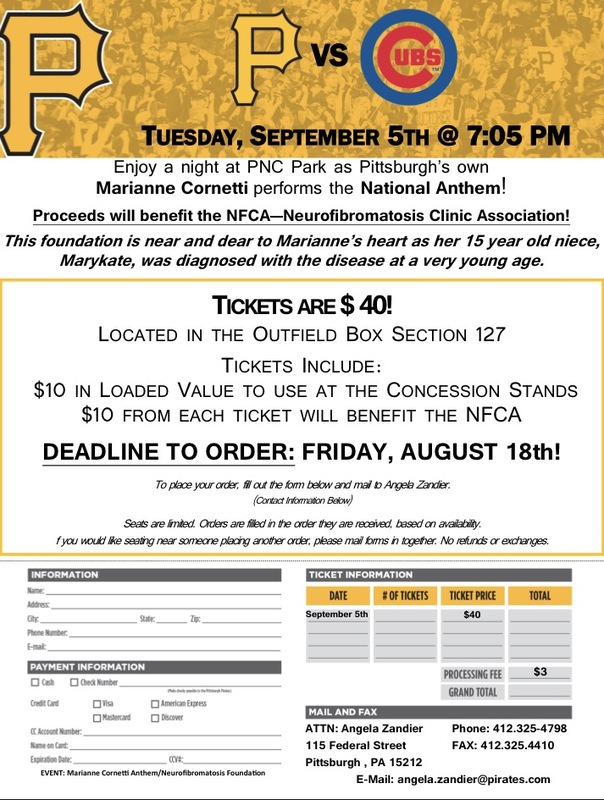 Enjoy a night out at PNC Park on September 5 as internationally-recognized opera singer and Pittsburgh native, Marianne Cornetti​, performs the National Anthem. Proceeds will benefit the NFCA! The NFCA is near and dear to Marianne’s heart as her 15 year old niece, Marykate, was diagnosed with the disease at a very young age. Ticket orders are due Friday so download this form to get started.